Classic rock caricatures Greta Van Fleet have spent their brief time in the spotlight enduring endless comparisons to Led Zeppelin. Now, Greta Van Fleet have spoken out to say that they would like all the comparisons to stop. 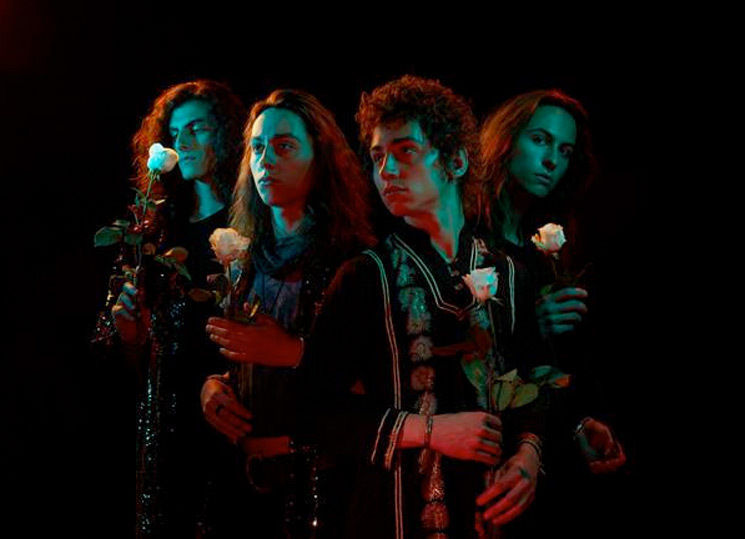 In an interview with Rolling Stone, frontman Josh Kiszka said, "Obviously we hear the similarity. That's one of the influences of ours. But at this point it's like, 'Okay, we've acknowledged that. Let's move on.'" He argued that, despite his band's undeniable similarity to Led Zeppelin, "Ultimately, I'd like to think that there's substance to what we're doing." Led Zeppelin previously addressed the comparisons. Robert Plant told Australia's Network Ten, "They are Led Zeppelin I." When the subject of Josh Kiszka's voice came up, Plant said, "He borrowed it from somebody I know very well. But what are you going to do? It's okay." At this point, the onus is on Greta Van Fleet — if they stop sounding exactly like Led Zeppelin, the world will stop comparing them. Smashing Pumpkins Actually Covered "Stairway to Heaven"
Led Zeppelin to Issue Expanded 'BBC Sessions' with "Lost Tracks"